A great way to have a spa experience at home is to invest in a whirlpool tub. Whirlpool tubs are very similar to hot tubs and jacuzzies, but they often come in smaller sizes. The best whirlpool tub can be fit into an existing bathtub’s space or alcove, which makes it easy for you to upgrade your relaxation lifestyle. This whirlpool bathtub has an acrylic and fiberglass design that makes it durable and brilliant. 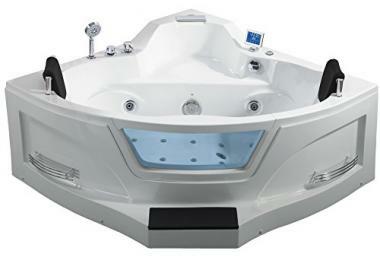 It has a hydro-massage system that has 14 multi-directional whirlpool jets and 6 water-flow settings. A 1.5 HP motor powers the jet system. It has a chrome faucet and LED lighting sides for an element of serenity. The faucet has a waterfall design. It also features a touch screen keypad and Bluetooth radio. This bathtub has a freestanding design that is made of acrylic material. 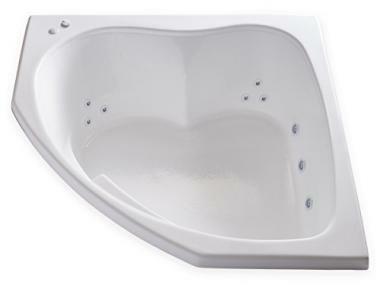 It has 10 air bubble jets that are adjustable for a massage and 10 whirlpool bubble bath jets for maximum comfort. It has a pump that is UL approved and has innovative technology to give a strong and steady hydro-massage. You can use the gentle air massage to immerse yourself in thousands of bubbles for pain relief and muscle relaxation. It has an S-curve design and is spacious enough to fully submerge. This is an acrylic design that has fiberglass reinforcement. It has a form-fitted backrest, molded armrests, and elbow supports. It has a reversible drain outlet. A 1.6 hp single speed pump and motor powers the jets. It also has a dual accessory deck area. The EverClean system ensures it is always pristine. Whirlpool tub reviews call this tub “a monster” with powerful jets and that it “exceeded expectations”. This top rated whirlpool bathtub is made of acrylic and has fiberglass reinforcements. It has 15 jets total. Of those jets, 7 are large water jets and 8 are bottom air jets. It has a waterfall faucet that can push out 3.7 gallons per minute. There is also a handheld shower extension. The tub holds 92 gallons of water total. It has a thermostatic switch that adjusts the water temperature. It has a vertical touch screen control panel, Bluetooth, and LED underwater light. This whirlpool tub has an inline heater to maintain the water temperature. It has a Carver Clean Whirlpool System that self-drains and ensures no water is left behind. It has a 3-speed quiet Whirlpool motor with low, medium, and high settings. This top rated whirlpool bathrub has 5-star whirlpool tub reviews. This jetted bathtub has a freestanding design. It has a water jet pump with full body and side water hydrotherapy jets. There is a handheld shower wand with flexible water line and side jet nozzles. It has a steel frame and 3 layers of fiberglass. It will add a modern look to any bathroom. 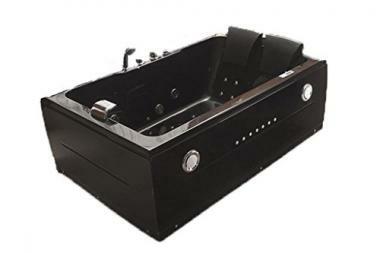 This whirlpool massage tub has a water jet pump and 6 adjustable massage jets, 8 back jets, and 13 air jets. There is an LCD control panel with a remote, as well as a shower wand and adjustable thermostatic faucet. It has underwater LED lighting and 2 soft/padded waterproof pillows. There is an FM radio and it has Bluetooth connectivity. This is a smaller walk-in tub that has luxurious features like a detachable swivel tray, wider backrest, spacious seat, and sleeker designed spout. It has a multi-section pull out hand shower and is the perfect solution for safer bathing. It has a textured and slip-resistant floor with two safety grab bars. It can drain in as little as 80 seconds. It has a stainless steel frame with leveling legs. It has an inline heater, Ozone Sterilization System, and anti-scald thermostatic control valve. There are a lot of hot tub health benefits, which has many people eager to invest. However, you may have looked at buying tips for hot tubs or a guide to setting up a hot tub and found that you don’t want to invest in the hot tub running and maintenance cost. You may also struggle to find the space for a hot tub. This is when a whirlpool tub is an excellent alternate choice. A whirlpool tub can give you the benefits of a hot tub, but without having to learn how to balance the pH in a hot tub, test hot tub water, or invest in hot tub covers. Unlike a hot tub, a whirlpool tub is filled and drained for every use, like you would any normal bathtub. The best whirlpool tub would have features similar to a hot tub, but without all the maintenance. 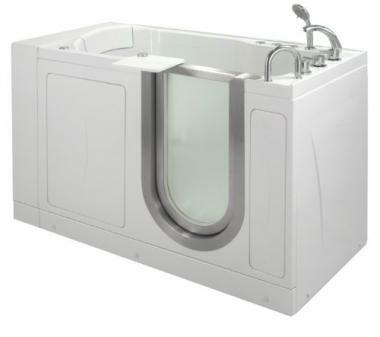 The type of the whirlpool tubs will mostly be dependent on the types of jets that are used. There are three common types of jets that are used for a jacuzzi tub: air jet, water jet, and combination. Air jet: This type of jetted bathtub will use jets of air to push and circulate bubbles through the water. They will likely have multiple jets that are adjustable, so that you can position them to give you a massage. Water jet: This type of jetted bathtub will use larger jets to push water through. The water is recirculated from the bath water and is pushed through the jet to give you the same effect as an air jet. Again, the jets will likely be adjustable to provide a stronger massage. Combination: Some whirlpool tubs with have both air and water jets, which would allow you to choose which jet you want to use for your bath. However, these hydrotherapy tubs tend to have the best option of using both types of jets at any given time. There are many different design options available for an indoor whirlpool tub. The common designs are an alcove, freestanding, drop-in, corner, and walk-in. Alcove: This bathtub whirlpool design can be placed into an alcove, which can help you save on space and eliminate the need to completely rearrange your bathroom. 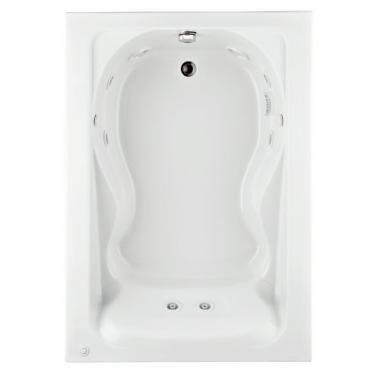 Freestanding: This hydrotherapy tub will be completely separate from any walls and will take up more space. They have designs that span from vintage to modern. Drop-in: These will have a little lip around the edge of the design and require the most space. This will give you a design that is similar to a spa. 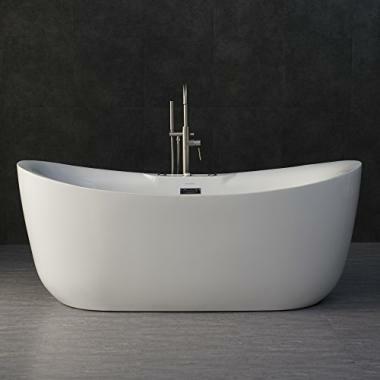 Corner: This jetted bathtub can be fit into a corner and has a wedge or triangle like shape. These will save you the most space for your bathroom but deliver abundant space for occupants to use. Walk-in: These types of jetted bathtubs can actually come in all the designs listed above, but they have a door that you can open and close to walk-in and out of the tub. Your home’s water heater, likely cannot hold up to heating all the water for your indoor whirlpool tub. The best whirlpool bathtub would have an inline heater that uses a heating coil to heat your water. Not all tubs will have an inline heater included in the purchase. Some may require that you purchase separately and install it into your hydrotherapy tub. Some bathtub whirlpool designs will have seats integrated into the body and others won’t. It will be up to your personal choice on whether you want a seat inside the tub or not. Whirlpool tubs can be heavy fixtures, even without the water and occupants inside. You need to be certain that the structure of your floor can support the weight of a jetted bathtub, especially if it is going on the second floor. You should consult a professional about the safety of installing and using your jacuzzi tub, before you make a purchase. The size of the tub will be dependent on the space that you can allot for the tub in your bathroom. Whirlpool tubs come in a variety of sizes and shapes, but your bathroom may not be able to accommodate them all. Make sure that your bathroom has the sufficient space before you make an investment. 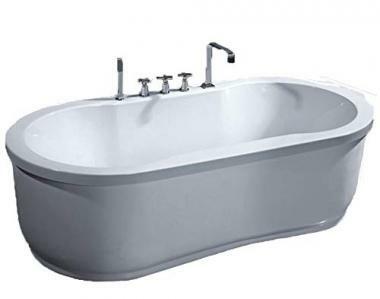 You will want to hire a professional to work with the plumbing and electricity of your tub. When your jacuzzi tub is professionally installed they can ensure everything is correct and that you have access to the motor box in case of a malfunction or breakdown. The three common types of material used in whirlpool tubs is acrylic, cast iron, and fiberglass. Acrylic: These have a glossy finish that is easy to clean and lightweight. However, it can easily scratch and discolor over time. Cast iron: These are heavy but durable. They are expensive because they resist chemical change, chipping, scratching, and denting. However, they are prone to rusting. Fiberglass: These are the least expensive designs and have a matte finish. They are lightweight but lack the durability of acrylic and cast iron. Q: What are the advantages of a whirlpool tub? A: A whirlpool tub gives you a lot of features that are similar to a hot tub, but without the hassle of constant maintenance, difficult cleaning, and requiring a large amount of space. A whirlpool tub can bring the spa experience you want, into your home, where it is safe and convenient. You can find hot tub accessories that work for your whirlpool tub too and make it more comfortable. Q: What is the difference between a whirlpool tub and a regular tub? A: A whirlpool tub will have features that standard bathtubs lack. A whirlpool tub with have jets, a water heater, and pumping system. A whirlpool tub acts like a hot tub, but in a smaller and easier to manage form. Your standard bathtub can’t keep water warm and doesn’t have the massaging effect of a jet system. Q: How to clean the jets of a whirlpool tub? A: Whirlpool tubs are similar to hot tubs and jacuzzi in the way they can be cleaned. How you drain and clean a hot tub is similar to an indoor whirlpool tub. The only difference is that you don’t have to struggle with balancing the chemicals or learning how often you should change your hot tub water, because a jacuzzi tub is likely drained after each use. However, you will want to perform a hot tub deep clean to clean the jets of your whirlpool tub. This deep clean will ensure the entire system of your jetted bathtub stays functioning. You can also likely use hot tub cleaners on your jetted bathtub. To get the best clean, you’ll want to ensure that you treat your whirlpool tub more like a hot tub, than a standard bathtub when it comes time to clean it. The best whirlpool bathtub will give you a spa day inside the comfort of your home. Without the struggle of installing and maintaining a hot tub, a whirlpool tub can be a great investment that gets you what you want with an excellent design. 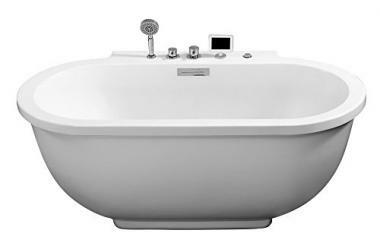 If you know exactly what you want or need, you can invest in a top rated whirlpool bathtub to soak your stress away. Do you own one of the whirlpool tubs that made it onto our list? Let us know how it has worked for your spa needs in the comments section below.